Doodlecraft: Cricut Explore Air 2: Leather Lace Choker Necklace! Cricut Explore Air 2: Leather Lace Choker Necklace! All ideas, crafts and craziness are my own. 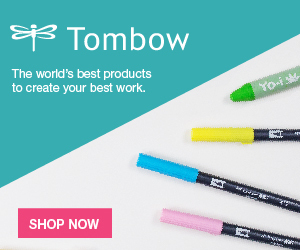 Post contains affiliate links too. 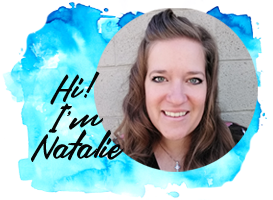 Cricut Explore Air 2: Leather Choker Necklace! I love that the Cricut Explore Air™ 2 machine can cut so many different materials. 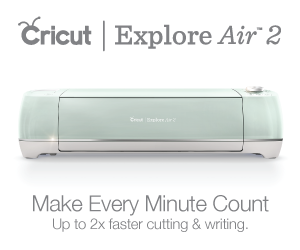 Check out my Getting Started and Excited post for all the basics on the Cricut Explore Air 2. This makes it so easy to make wearable pieces with leather! I love the gold leather and the lace like look. The simple and quick answer is yes. It's set-up walks you through the software and helping you know the machine and the software. You learn what it is capable of and the fun! and this one for a fun custom cake topper! Of course, the software is capable of doing much more complicated projects too. So this project is more of an intermediate craft. Just know that after getting comfortable with the machine and the software, this project will be a breeze. Cricut Design Space has some lace images already, so they would be much simpler to work with for beginners. I split up a lace ribbon pattern into 2 png files using photoshop. Right click to save them off and use them yourself! I used Faux Leather Pebbled in Gold from Cricut. Upload the 2 images into CDS as simple images. Insert them to the canvas at the same time, this will keep them the same size. There should be some way to change the layers so the software knows which one to cut first, but this was the simplest way I could find to do it...so the inside cut-outs line up perfectly. Enlarge all the pieces at the same time, so they stay the same ratio to each other. Make them about 11.5 inches. Change the color of the silhouette outline image. I picked a light gold. Place them so that the inside cut-out is on the bottom, then the solid silhouette, then the second cut-out on top. Like a creamy cookie. Line up the top cut-out layer exactly on the solid piece. Then click the "eye" button on the solid colored layer. Then take the bottom cut-out layer and line it up exactly the same as the top layer. The Cricut will cut out the bottom layer first, then the top layer. This is assuring that the cut-outs will cut first, then the entire outline second. Next remove the top layer of cut-out spots and then click the "eye" button to reveal the solid silhouette piece again. Select the 2 layers remaining and click the "weld" button on the bottom right corner. It is now ready to cut and will cut in the right order. Place the leather on the cutting mat. Set the dial to "other materials", select 2mm leather. You don't need the deep cut blade for this. Then click go. On tricky cuts and fancy products, I like to do a test on paper first. Then insert the leather and go. Just as planned, it cuts out all the little inside pieces first and then finishes up with the outline cut of the whole piece. Remove from mat. Pop out any of the little pieces remaining. Then you will need some jewelry findings. 2 crimp ends, 4 jump rings, about 2-4 inches of chain, and jewelry pliers. Use the pliers and clamp down on the crimp ends with the leather fit tightly inside them. Then add jump rings, chain and a loop or hook on the ends. Then it's done! Easy as that. Did the tutorial for the software seem overwhelming? Don't be, just know there is always more you can learn and work towards...if it seemed straight forward, make one today! I love the little delicate lacy leather! Chokers are back! They are so darling! What do you think? Do you like chokers?